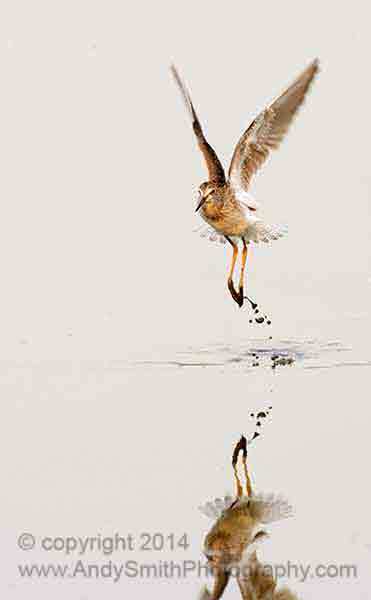 This Lesser Yellowlegs, Tringa flavipesa, is taking off at the John Heinz National Wildlife Refuge at Tinicum in Philadelphia, PA. This refuge is a gathering point for many shorebirds during the fall migration. This image was included among the winning images of the 2008 National Wildlife Refuge Photo Contest and was one of the top 100 in the 2007 North American Nature Photographers Association Showcase.